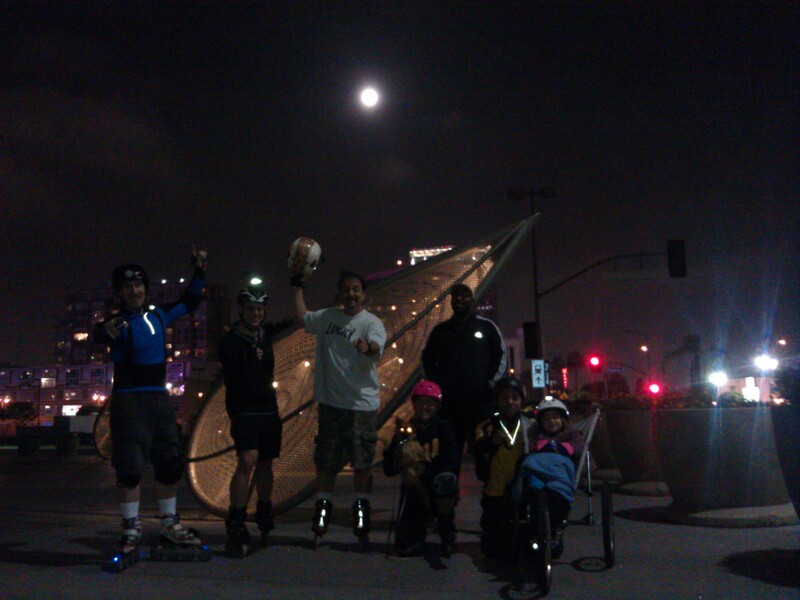 We sk8@ 8pm every Tuesday that happens in Los Angeles. Your ticket is secured, just show up! We got Facebook & MeetUp for hookin' up! Are you a good skater? 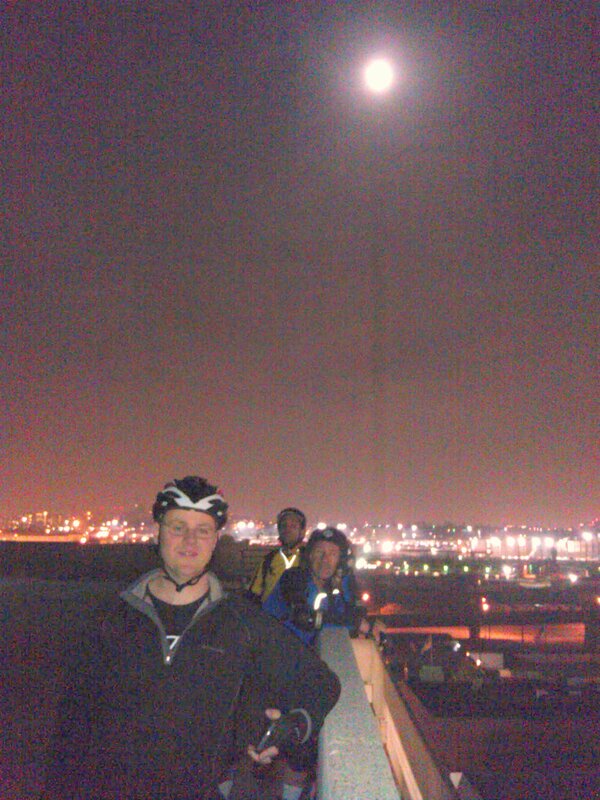 You ready to see the city at night? 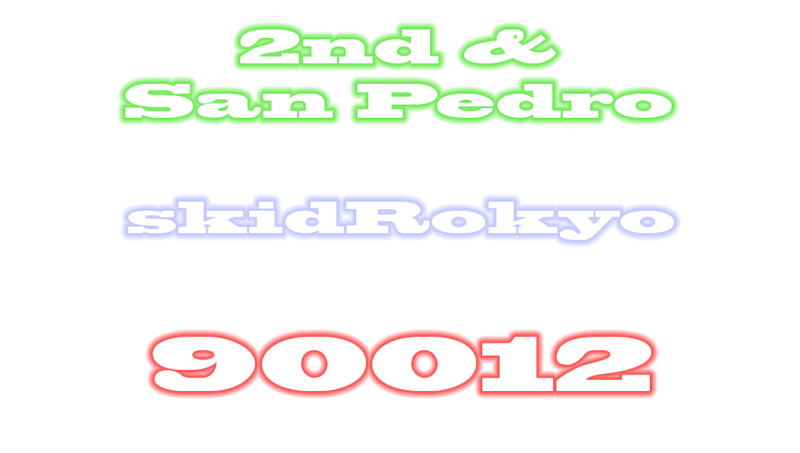 Lace 'em up and get to 2nd & San Pedro! You need no invitation to join us, just show up! 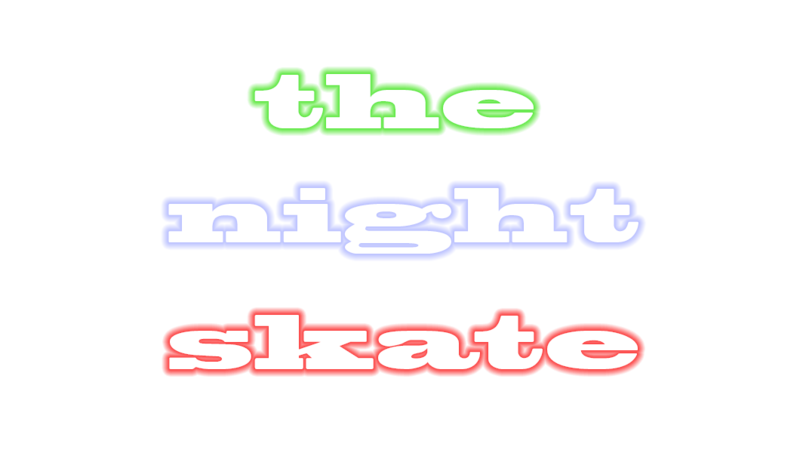 Watch our Facebook page for more info about the Night Skate! The route is not fixed, and the skate is open to all levels of skaters. We have never lost a skater, and we leave no one behind. What is a Group Skate? 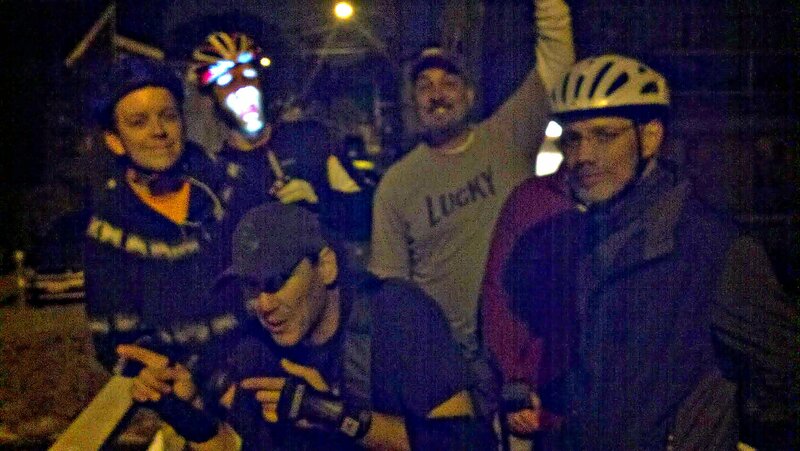 Well it's this thing where a bunch of idiots with roller skates get together and go skate around. Generally speaking it's just a good-time, but it's also a great excuse to get out of the house. Reason for showing up vary. Meeting new friends, getting some fresh air, getting a workout, training for a race, not training for anything, got nothing else to do, just visiting, you know... pretty much anything can be a reason to go skate! 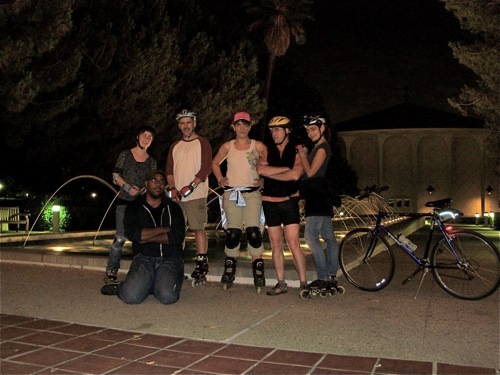 Generally speaking, we skate around downtown. 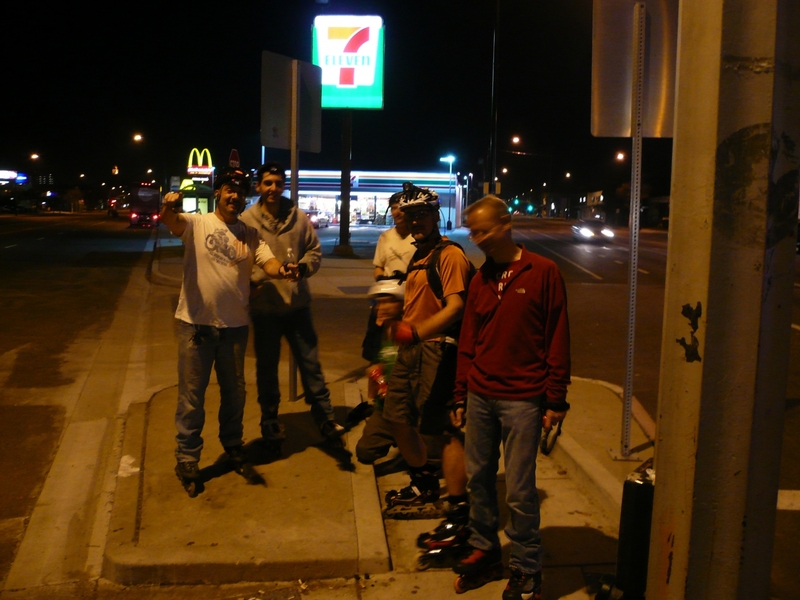 Mostly we skate in the streets and sidewalks, but we often wind up in parking garages, parking lots, parks, skate parks and other parky-type places (like the LARP and the AroyoSeco Path). We skate up and down hills. We skate through stores. Sometimes we even skate on the dirt. Simply put, we skate every-damn-where. 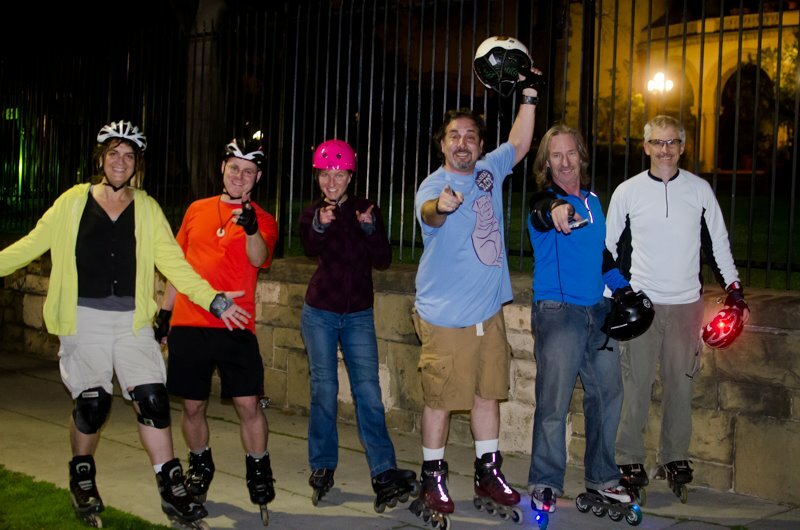 We meet every week on Tuesday night around 7:45pm, and We Skate At 8! Truth be told, we actually NEVER roll out until 8:08pm, and once in a while we'll wait on somebody, but we like to start on time. How Far Do We Skate? The longest stakes we've done are less than 20 miles, and the average is 11-13 miles. We occassionally skate much less distance than that, especially if we get involved with something fun like a good parking garage or a really hot bartender. How Long Do We Skate? We're usually done by 10pm, although sometimes we do not finish until 10:30 or 11pm. 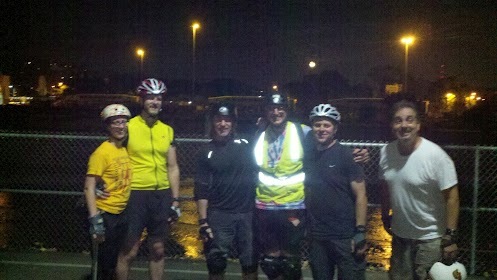 We rarely skate more than two hours; being late is usually because we took the train to or from somewhere. We have gone straight to the bar and done no skating at all, but only a few times... as far as any of you know. Where Does The Skate Meet? 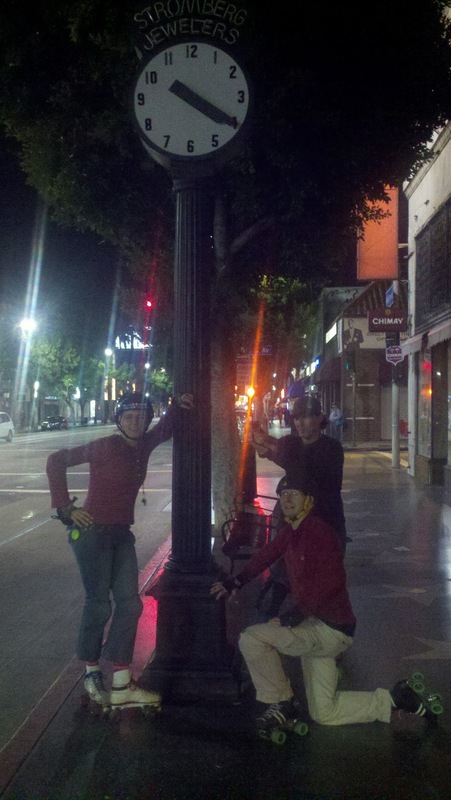 We usually meet at the corner of 2nd & San Pedro in downtown LA @ 7:30pm. We skate @ 8! 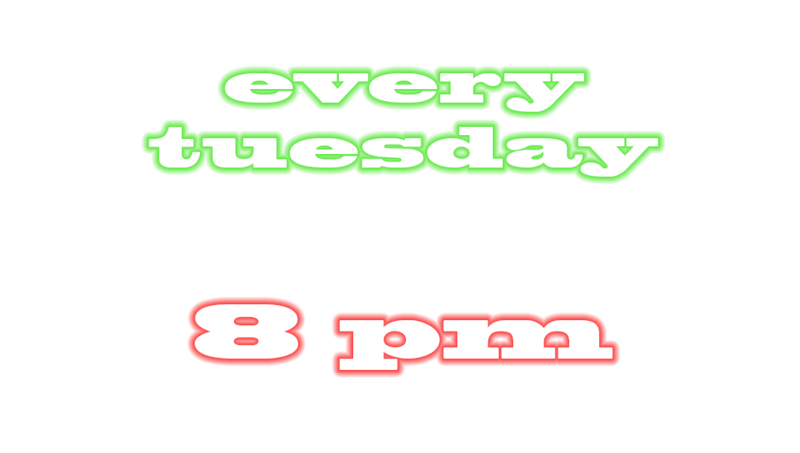 The 5th Tuesday of any month we will visit other areas of LA, check the mailing list or the Facebook page for details. What Should My Skill Level Be? You should NOT be a beginner. You should be comfortable skating on rough surfaces. You should be comfortable skating down hills, or at comfortable and confident in your braking skills. You should be able to stop. Well. Really, really well. You definitely need to be over 18, unless you bring your Mom... and she should be hot, unless you bring your dad, and he too should be hot. We really don't get too crazy very often, and we try not to skate past anyone's comfort zone... but we do expect you to get comfortable pretty fast. Where May I Get More Information? Facebook or our MeetUp pages for more info about the Night Skate! 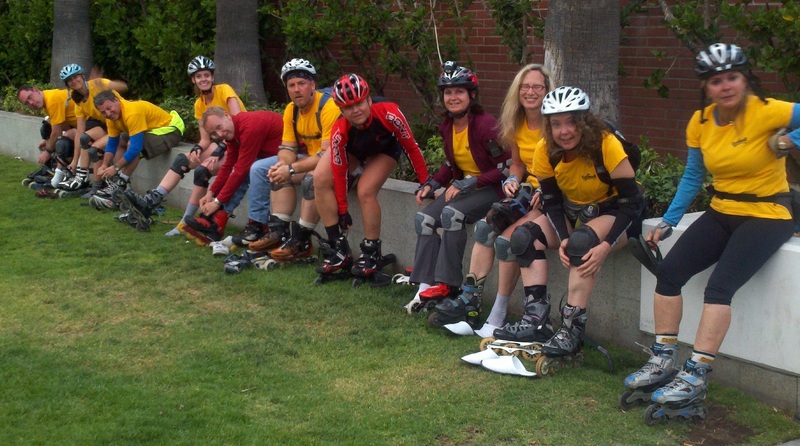 We also have info for people who are thinking about riding a bike or skating on a skateboard, what your skill level should be, and The Rules, in case you were wondering what the ground rules are for playing with us. 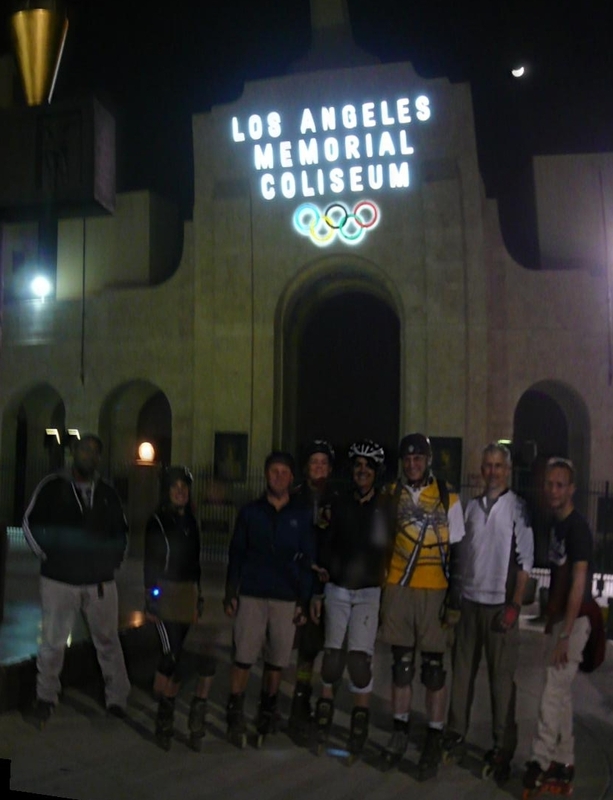 We meet at the corner of 2nd & San Pedro in downtown LA @ 7:45pm. 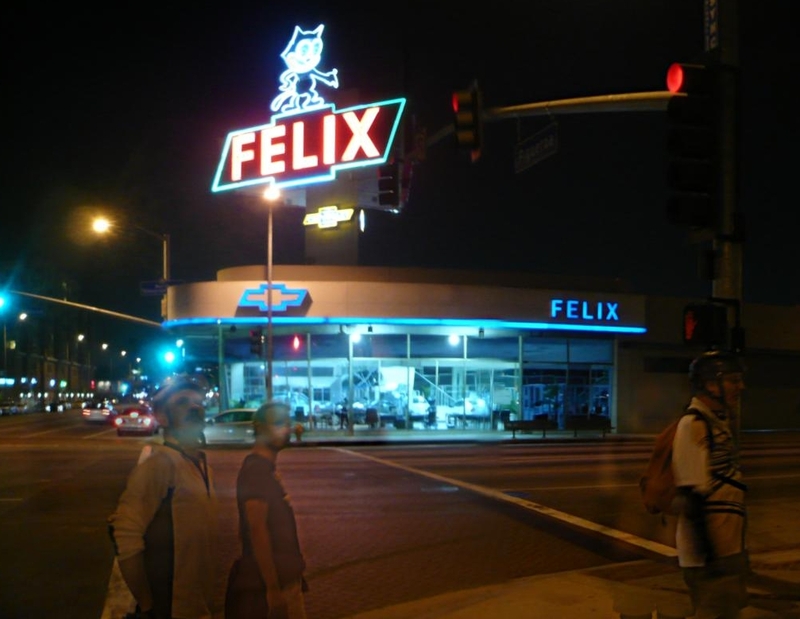 The 5th Tuesday of any month we will visit other areas of LA, check the Facebook page for details. Everybody likes driving, but nobody likes traffic. We always end near Metro rail stops and finish long before the trains stop running, so why not? Go ahead, try it out!. 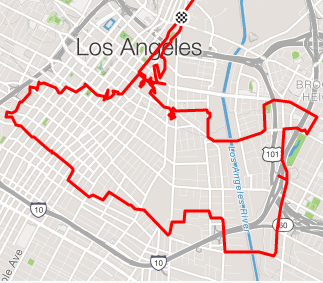 DTLA is the literal center of LA and it's our city's fastest growing area. 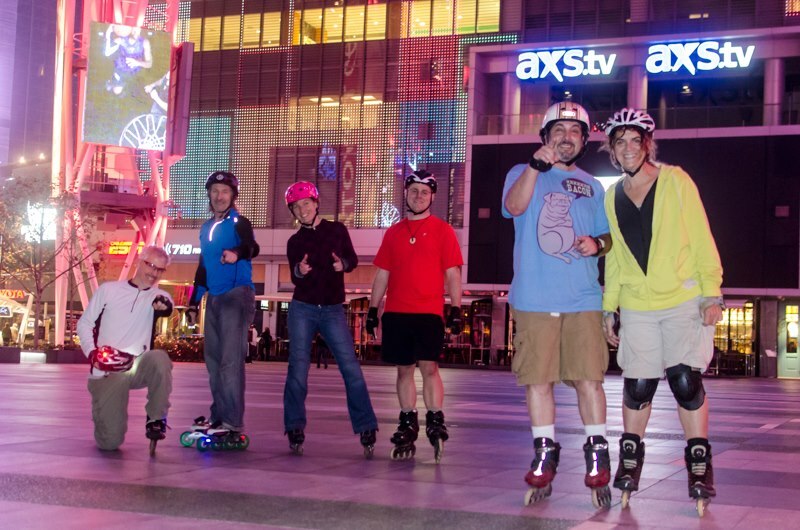 We cover all of downtown, and there's no better way to see it than on skates! 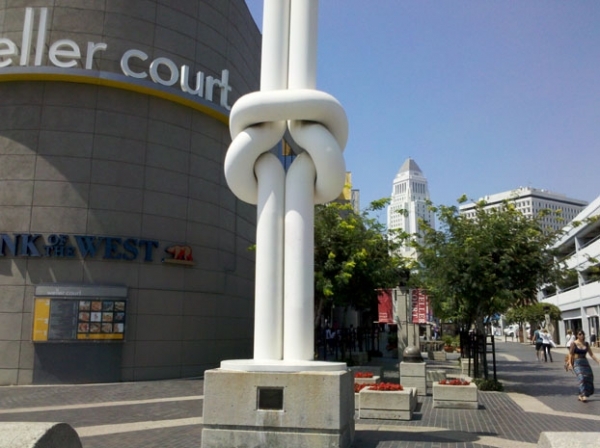 Downtown Los Angeles is for Everybody! 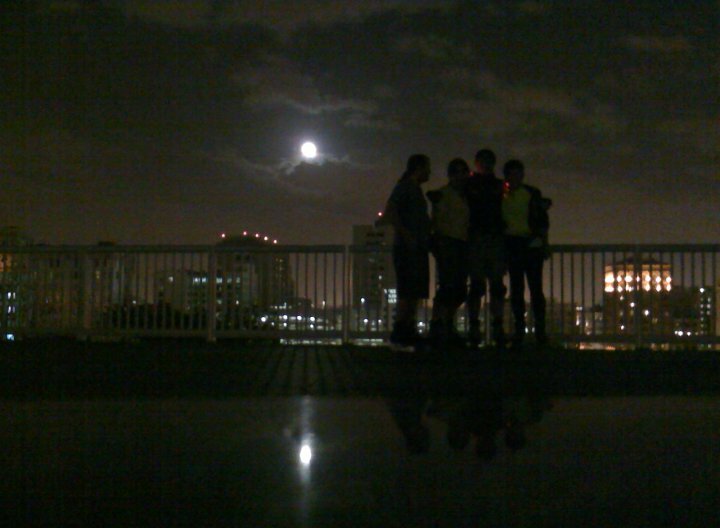 We're as close as we can be to as many people as possible. There are over 10 million people within 50 miles of DLTA. 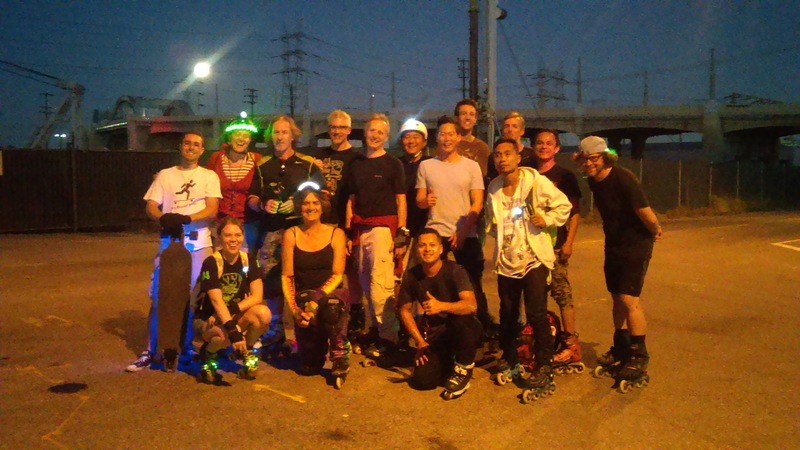 This is an adult skate for good skaters. You don't need to be great, but you should be good. You want wheels in the 80mm or up range, you want pads to make you comfortable and most of all, bring some lights!!! We never close! OK, we do cancel once in a blue moon, but we average 50 skates per year. If we do cancel it'll be on the Facebook page at least 2 hours before the start, so if you're unsure, check out our Facebook page! We're here to have fun, meet people, and waste time, in pretty much that order. We ask that everybody shows up on time ('cause some folks have to work Wednesdays) but other than that, we're just looking for a good time. ... here's a bunch of random group photos 'cause, you know... website. 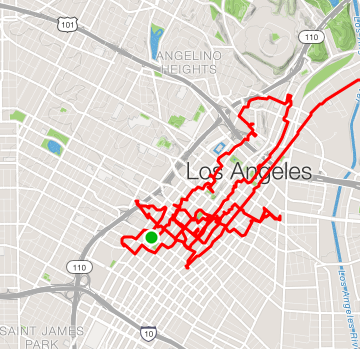 ... and here's a sampling of different routes we've done. Sometimes we just stay downtown, but we'll explore all kinds of spaces both old and new. 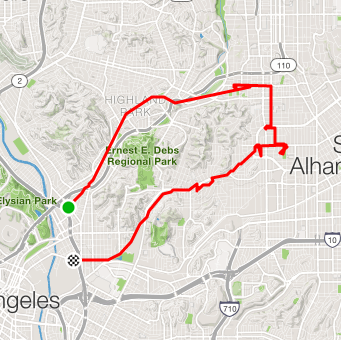 Going to Echo Park always means we'll get some hill work in, either way we go. 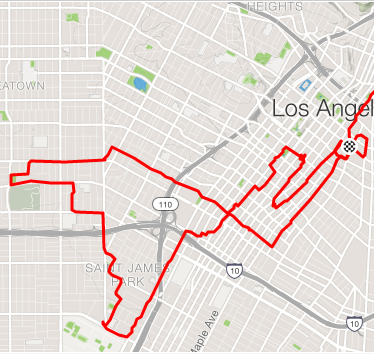 East LA is the city's first 20th century suburb, and it's a great skate. 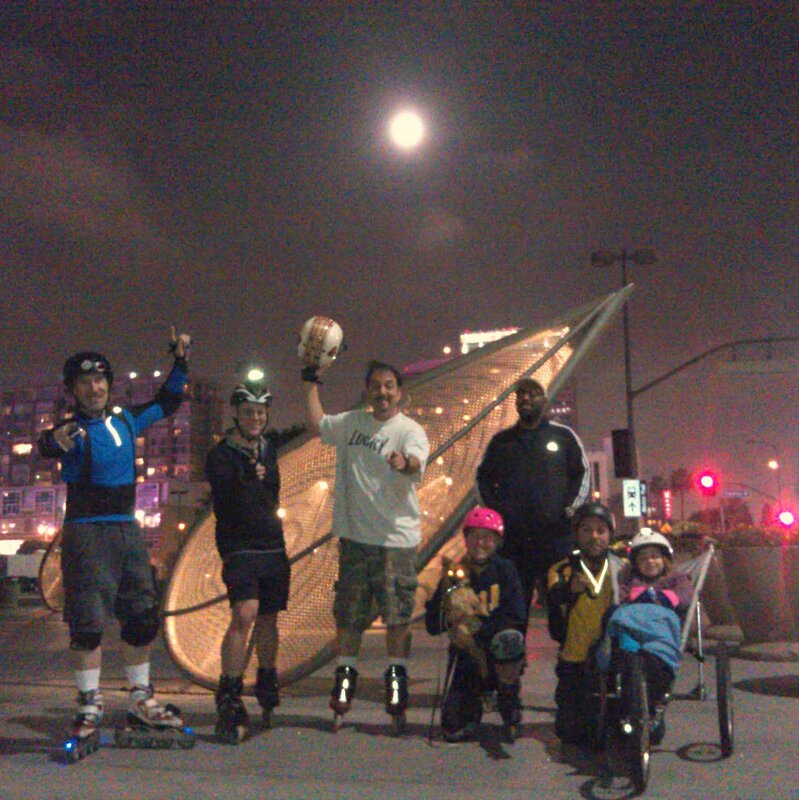 The West Adams district makes for fine skating on those nights when nobody wants to work too hard. 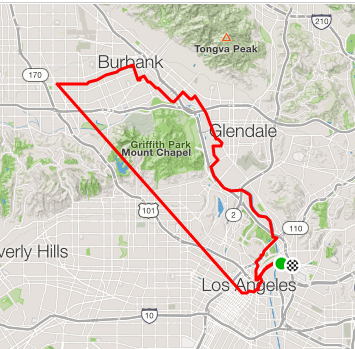 When we take the Metro to Pasadena, the ride back to LA is all about the downhill! 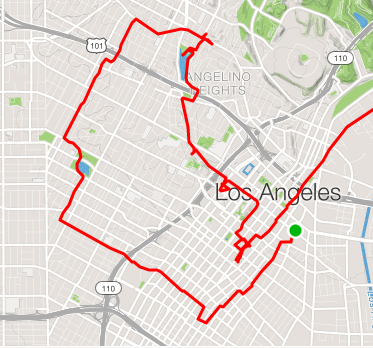 Take the train to NoHo, then skate 17 miles back to downtown, 12 miles of it on traffic-free paths. If you've got questions, or if you're interested in using our group for filiming or other promotional purposes, drop us a line! Copyright © 2017 Jenni X Enterprises. All Rights Reserved. 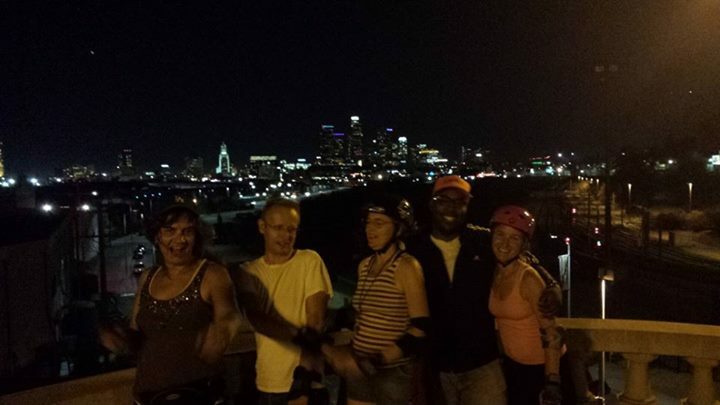 TheNightSkate is a free, public group skate for adults. Skate at your own risk. Lights, relectors and other types of safety equipment are reccomended. 2017 - Powered by Geekchick.Biz. All Rights Reserved.